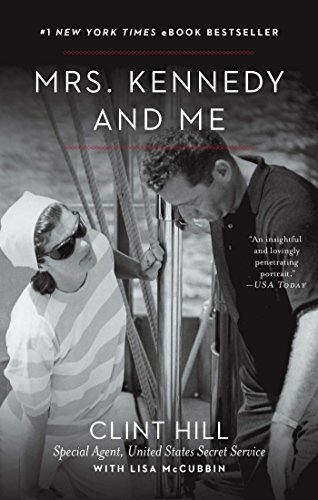 Descargue o lea el libro de Mrs. Kennedy and Me de Clint Hill en formato PDF y EPUB. Aquí puedes descargar cualquier libro en formato PDF o Epub gratis. Use el botón disponible en esta página para descargar o leer libros en línea. "With clear and honest prose free of salaciousness and gossip, Hill (ably assisted by McCubbin) evokes not only a personality both beautiful and brilliant, but also a time when the White House was filled with youth and promise. It was with great trepidation that I approached 3307 N Street in Georgetown on November 11, 1960. I was about to meet the wife of the newly elected president of the United States, who I had just been assigned to protect, and I wasn’t looking forward to it at all. Being on the First Lady’s Secret Service detail was the last place I wanted to be. Looking back, I’m quite sure that Jacqueline Bouvier Kennedy was filled with even more anxiety about our meeting than I was. Neither of us had much choice in the matter. She could refuse to accept me—as she had done with the first agent assigned to her—but if I rejected the assignment, it would be the end of my career. Just twenty-four hours earlier, I had been with outgoing President Dwight D. Eisenhower, as he played a post-election round of golf at Augusta National Golf Course. The fact that the Republicans had lost the election was still sinking in, and while the entire administration was about to change, one of the few things that would remain the same was the Secret Service. It had been a great honor for me to be on President Eisenhower’s Secret Service detail, and, while it would be bittersweet to see him leave office, I was excited for the challenge and experience of protecting the new president. It never entered my mind that my job might not be as secure as I thought it was. There were just forty of us on the White House Secret Service detail—the elite team whose sole mission was to protect the president around the clock. We were not affiliated with any party or political group, and we were a tight group of men. The transition would require the Secret Service to adapt to the new president’s style, and even though I hadn’t yet met President-elect John F. Kennedy, it was obvious that protecting him was going to be a whole different ball game than it had been with Ike. We were going from a seventy-year-old former general who ran the White House with military precision, to an energetic forty-three-year-old Irish Catholic Democrat from Massachusetts with a lot of new ideas to take America into the 1960s. I had been working the golf course with two other agents, and as soon as the president’s foursome finished the round, Jim Rowley, the Special Agent in Charge (SAIC) of the White House Detail, sent word that he needed to speak to the three of us. I had a feeling that this was probably my last game of golf with President Eisenhower and fully expected that Rowley was about to reassign the three of us to President-elect Kennedy. When we walked into the office, Rowley explained that he had to shuffle the personnel in order to cover President Eisenhower, along with President-elect Kennedy, until the Inauguration in January. First he addressed the other two agents, Jerry Blaine and Bill Skiles. He warned that they would likely remain in Florida until the Inauguration, meaning they’d be away from their own families for Christmas and New Year’s, and suggested they have their wives arrange to get some warm-weather clothing to them. As I was listening to Rowley give Blaine and Skiles their new assignment, an uneasy feeling started to come over me. “Yes, sir,” I said with a nod. Why does Baughman want to speak with me? Why am I not going to Palm Beach with Skiles and Blaine? I had a dozen questions, but I would never question Rowley’s authority or decision: he was our leader. Still, I had a foreboding feeling that whatever lay ahead for me could not be good. SECRET SERVICE HEADQUARTERS was located in the U.S. Treasury Building, right next to the White House on Pennsylvania Avenue. I had never been in the chief’s office before, and in fact, had never personally met Chief U. E. Baughman, who had been head of the Secret Service since 1948. I was more than a little apprehensive when I checked in with his secretary, but I tried to sound as confident as possible. As I walked through the doorway into the chief’s spacious office, the first thing I saw was a plaque hanging on the wall that said: You ain’t learning nothing when you’re talking. Sound advice, I thought. Then, as I looked around the room, and saw not just Chief Baughman but his deputy chief and an assistant chief as well as two inspectors, a feeling of dread suddenly came over me. The entire top echelon of the Secret Service was standing there, apparently awaiting my arrival. “And when were you transferred to the White House Detail?” Baughman asked. This is strange, I thought. Surely all of this information is in my file. Baughman asked a couple of more innocuous questions, and then each of the other men began asking me things, all sorts of things about my past, both personal and professional, as well as my attitude about protective activities. What did you do prior to becoming an agent? Where did you grow up? Where did you go to college? Are you married or single? Do you have any children? Do you swim? Do you know how to play tennis? Have you ever ridden horses? I answered the barrage of inquiries as honestly and candidly as possible, but each new question increased my anxiety, as I still had no idea what this was all about. My mind was spinning as I replayed the events of the last couple of weeks, trying to figure out what I could have done wrong, and though my stomach was in knots, I did my best to stay calm and composed. At times, the men would go off into a corner of the room and confer, just out of earshot, so I couldn’t hear what was being discussed. I was thoroughly convinced that I was about to be fired. Why else wouldn’t I have been sent to Palm Beach? The interrogation went on for nearly one and a half hours. One and a half hours in which I’d done all the talking, and just like it said on Baughman’s plaque, I hadn’t learned a damn thing. I was too stunned to speak. The First Lady’s Detail? Me? But why? “Yes, sir,” I said. There was nothing more to say. I was relieved that I wasn’t being fired, but I was deeply disappointed that I wasn’t going to be with the new president. Baughman told me to report to 3307 N Street Northwest, to the Kennedy home in Georgetown. Mrs. Kennedy would soon be arriving from Hyannis Port, Massachusetts. My mind was spinning as I left the chief’s office. Why was I selected for this assignment? What actions or experience in my background caused them to make this decision? It felt as though I had been demoted from the starting lineup to the bench. From grade school to college, in all my years playing football, basketball, and baseball, I’d always been a star player, and now, in the most important game of my life, I’d just been kicked off the first team. I was devastated. The more I thought about it, the more upset I became. I had been on the White House Detail for just over a year and had traveled with President Eisenhower on several unprecedented trips that took us throughout Europe, Asia, and South America. At the time, I was twenty-seven years old and had never flown in a jet aircraft. Having grown up in the high plains of North Dakota, I could never have imagined I would accompany the President of the United States to ancient cities I’d only read about in history books: Rome, Ankara, Karachi, Kabul, New Delhi, Tehran, Athens, Tunis, Toulon, Paris, Lisbon, and Casablanca. To top things off, I was issued a diplomatic passport, which allowed for preferential treatment, as if I were a dignitary myself. I felt so privileged and I thrived on the constant activity. One of the things I most enjoyed was the camaraderie among all the agents as we worked together as a team. Now all that excitement was over, and I could just envision what lay ahead. While my buddies on the President’s Detail would be right in the middle of all the action, I knew where I was going to end up: fashion shows, afternoon tea parties, and the ballet. I felt as if my career had come to a screeching halt. I pulled my Secret Service commission book out of my suit coat pocket and held it in my hands. The impressive midnight blue grosgrain leather case was engraved on the front cover with the gold five-point Secret Service star. Within the star it read: UNITED STATES SECRET SERVICE. As I went over and over in my mind what had just transpired, the only conclusion I could come to as to why I’d been chosen for this assignment was that Mrs. Kennedy and I were fairly close in age—I was now twenty-eight and she was thirty-one—and that I had a child nearly the same age as her three-year-old daughter Caroline. I couldn’t come up with any other reason. I finally realized I had no recourse. I was a Secret Service agent on the White House Detail, and the first lady required protection. Somebody had to do it. So I pulled myself up, grabbed the keys to one of the Secret Service sedans, and headed to the historic streets of Georgetown. THE THREE-STORY REDBRICK townhouse at 3307 N Street stood so close to the street that the front door was just two steps up from the sidewalk. The house was not very big—just three windows across on the upper two floors and two windows next to the front door on the ground floor. The Secret Service agent posted in front of the house had been alerted to my arrival and allowed me inside without difficulty. Agent Jim Jeffries was waiting inside and came to the door to greet me. Agent Jeffries was about five foot ten, the same height as me, with a medium build, and was about thirty-two or thirty-three years old. He had light, reddish hair, and a ruddy complexion, which I imagined would burn to a crisp if he spent more than a few minutes in the sun. As he approached me, he had a serious, almost stern look on his face that didn’t do much to calm the apprehension I was already feeling. “Great. I’m looking forward to meeting her,” I said, with as much sincerity as I could muster. As Jeffries walked out, I looked around the living room to try to get a feel for Mrs. Kennedy’s tastes and what kinds of things she liked. The room was elegantly decorated, but it had a feeling of warmth to it as well. Dark wood antiques were mixed with light-colored upholstered pieces and the furniture seemed as if it were arranged in such a way to invite guests to stay for long, lingering evenings by the fireplace. Built-in bookshelves were filled with a mixture of books and decorative ornaments that had a distinctly European feel. Everything seemed to be placed just so, and I got the feeling that should an object be moved ever so slightly, it would be noticed immediately. It was a home for tea parties and ladies’ luncheons. Just thinking about it made the feelings of disgust and disappointment wash over me again in a sudden wave. After a few minutes, Jacqueline Bouvier Kennedy walked into the room, with Agent Jeffries a few steps behind. I’d seen newspaper photographs of her, of course, but in person she was much more striking than I had imagined. She was tall—about five foot seven inches—but it was the way she carried herself, almost gliding into the room with a dancer’s erect posture, that exuded an air of quiet confidence. Her chin-length, dark brown hair was perfectly coiffed, and she wore just a touch of makeup, enough to accentuate her dark brown eyes and full lips but still look natural. She was very attractive, very gracious, and very pregnant. Mrs. Kennedy approached me and smiled warmly as she offered her hand. “It’s a pleasure to meet you, Mr. Hill,” she said in a soft, breathy voice. “It’s very nice to meet you, too, Mrs. Kennedy,” I said with a smile, as I shook her hand and looked directly into her eyes. She returned my gaze for an instant, then blinked and looked away, giving me the impression that, while she wanted to appear confident, on the inside she was rather shy. The three of us sat down in the living room, as Agent Jeffries took the lead in explaining our duties, and how we would need to work with Mrs. Kennedy and her staff. The smile had worn off Mrs. Kennedy’s face as she resigned herself to the fact that, from now on, she would never be alone. Her gaze transferred between Jeffries and me, making sure that both of us understood her wishes. In that instant, I realized that Mrs. Kennedy was a lot more intuitive and in control than her public image at the time suggested. Jeffries and I stood up as Mrs. Kennedy walked out of the room. She had decided the meeting was over. It was clear that she wasn’t excited about having two Secret Service agents around, and I realized that, if I was going to be able to do my job effectively, I would have to earn her trust. Agents temporarily assigned from field offices would handle the perimeter security of her residence, no matter her location. One of us had to be available whenever Mrs. Kennedy was awake, and be prepared to perform whatever task was required to provide a secure environment in which Mrs. Kennedy could function in her capacity as wife of the President of the United States. Whether it was work or play, it was our job to make sure she could do the things she wanted or needed to do, safely. That included each and every location she visited. In order for either of us to have a day off, it required the other agent to work a full day, with no relief. When Mrs. Kennedy traveled outside the Washington, D.C., area, we both would have to work a full day in order to provide adequate coverage. A full day meant we worked during the periods Mrs. Kennedy was up, awake, and active. When she slept, we slept. Thus began my new assignment. I HADN’T BEEN briefed on Mrs. Kennedy at all, so I had very limited knowledge of her background, her likes and dislikes, or what activities were of interest to her. I didn’t like this feeling of being unprepared and I knew it was going to require a great deal of research to become knowledgeable about my new protectee. In those first few days, I collected newspaper and magazine articles to find out as much about Mrs. Kennedy as I possibly could. The more I read, the more I realized that her background and mine were about as different as they could possibly be. Jacqueline Lee Bouvier had grown up on the East Coast in a sophisticated environment, learning social graces and developing an appreciation for art and literature from a young age. She was born on July 28, 1929, in Southampton, Long Island, to Jack and Janet Bouvier, and while her father instilled in her a love of horses and horseback riding, her mother developed her interest in painting, reading, and foreign languages. She had a sister named Lee, who was four years younger, and when the two were around eleven and seven years old, their parents divorced. Two years later, Janet Bouvier remarried a very wealthy man named Hugh Auchincloss. The young Jacqueline Bouvier attended Miss Porter’s School, an exclusive boarding school in Farmington, Connecticut, where she was a straight-A student. Upon graduation from Miss Porter’s, she enrolled in Vassar College, in Poughkeepsie, New York, and in 1948 she was named “Debutante of the Year.” Summers were spent at her stepfather’s estate—a twenty-eight-room oceanfront “cottage” in Newport, Rhode Island, called Hammersmith Farm. She became fluent in French when she spent her junior year of college in France, studying at the Sorbonne in Paris and the University of Grenoble. Upon her return from Europe, Jackie enrolled for her senior year at George Washington University in Washington, D.C., where she graduated, in 1951, with a bachelor of arts degree in French literature. Two years later she married John Fitzgerald Kennedy, a junior senator from Massachusetts, in a highly publicized wedding in Newport that was deemed the “social event of the year.” Twelve hundred guests attended the lavish reception, which was held at Hammersmith Farm. I, on the other hand, grew up in North Dakota in a very small town called Washburn. It was a farming community, with a large Norwegian population, and my father, Chris Hill, was the county auditor. My mother, Jennie, was a homemaker, and was devoted to my older sister, Janice, and me. My mother was hearing impaired and we, as family, made adjustments to cope with that situation. We spoke louder and always spoke in front of her so she could see that we were talking to her. She handled this difficult problem very well, but from a young age, I learned to anticipate her needs and was always protective of her. My mother had long, dark brown hair that hung straight down her back—so different from my jet-black hair that grew in tight curls—but I never thought anything about it, until, when I was about six years old, the girl who lived across the street told me I was adopted. I didn’t know what “adopted” meant, so I ran inside the house to ask my mother. She tried to explain it in six-year-old terms—how she and my father had driven 240 miles to Fargo in our 1929 DeSoto to the North Dakota Children’s Home for Adoption to choose me from all the other babies, how my aqua blue eyes beckoned to them—but it certainly wasn’t the way she had planned on me finding out. It turned out my sister was also adopted, and my mother was fearful that we wouldn’t feel as loved as if we had been her natural children. The truth was, I was lucky to have been raised in such a loving, stable home. It wasn’t until many years later—after the world crashed in around me and I was searching for something to cling to—that I returned to North Dakota to meet my birth mother, and learned, as she lay on her deathbed, how I happened to become available for adoption. I was the sixth child of Alma Peterson, born January 4, 1932, in Larimore, North Dakota. Seventeen days after my birth, on a cold, snowy day, which happened to also be Alma’s thirty-ninth birthday, she had me baptized in a Lutheran church in Fargo, and then turned me over to the Children’s Home. By the time I met her, she had suffered a stroke, and the details of the story were told to me by one of my half sisters. It wasn’t clear who my father was, she said, but she remembered Alma sending her to a French Canadian man named Vassau, who was the proprietor of the hotel where Alma was a maid, to collect some money for my birth. Growing up in Washburn, though, I didn’t know any of this, and it didn’t really matter. I had a great childhood. Even though I never had my own room—I shared the porch with my grandfather and kept my belongings in one drawer of a dresser that was jammed next to the piano—I never went hungry, and was always supported by my family. My adoptive parents were very conservative—they didn’t smoke or drink alcohol—and were quite religious. Our whole family was active in the Evangelical Lutheran Church, where my sister played piano and I was an altar boy. I attended the public schools in Washburn and was involved in many school activities: I played trumpet in the high school band, sang in the glee club, acted in plays, and played football and basketball and ran on the high school track team. I also played baseball for the Washburn American Legion team and, in my junior year of high school, had the great honor of being selected to attend the Boys State leadership program as the representative from Washburn. In 1950, I graduated from high school and when I left Washburn that fall to attend Concordia College, in Moorhead, Minnesota, the sign at the edge of the city read: WASHBURN POP. 912. Now, ten years later, I was responsible for protecting the wife of the president-elect of the United States. I realized I had nothing to complain about, and I might just as well get used to it. Little did I know that life with Mrs. Kennedy was going to be anything but dull.